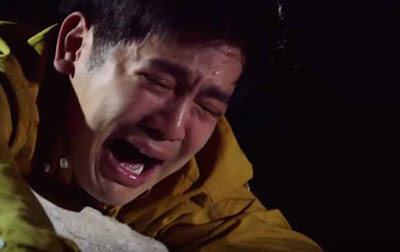 Kapamilya primetime series “The Good Son” once again made waves online as emotions poured in last Friday (March 23) after Joseph (Joshua Garcia) witnessed the gruesome death of his mother Raquel (Mylene Dizon), with the show raking thousands of tweets and praises from netizens. Viewers were kept on the edge of their seats as they saw how Joseph desperately tried to save his mother Raquel from falling off a building, which even led to his attempt to take his own life after he forcefully grabbed a police officer’s gun and attempted to shoot himself because of his overwhelming guilt for not having saved his mother. Praises poured in for the cast, especially for the lead star Joshua, even until Saturday (March 24), a day after the episode aired, with the continuous support of fans who tweeted how in awe they were of their performance. “Tonight was one of Joshua Garcia’s finest moments in his acting career. Your acting is becoming a brand! Joshua Garcia has a long way to go,” said @saavedra_mark. “This is the kind of scene that no matter how many time I watch it, I still get emotional. Joshua is so good,” Facebook user Kengkeng Alejandrino posted. “It’s like watching a drama series in the 90s where actors are praised for their acting, not for fans’ clamor. This is true talent, they will let you feel what they feel,” YouTube user Lurker Lang commented. Aside from leading the trending topics on social media, “The Good Son” also won in national TV ratings last Friday (March 23) as the show garnered 20.2%, compared to its rival show “The One that Got Away” that only got 12%, according to data from Kantar Media. After the death of Raquel, how will Joseph avenge his mother’s death? Don’t miss “The Good Son” on ABS-CBN and ABS-CBN HD (SkyCable ch 167).